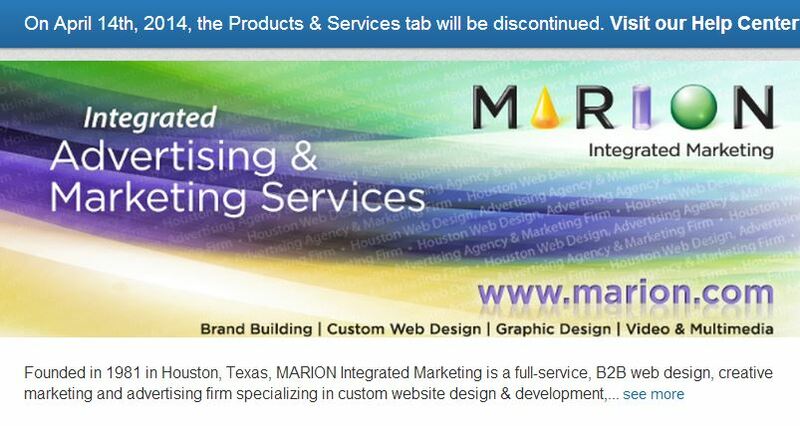 LinkedIn recently announced that they are discontinuing the Products/Services tab from Company Pages. The big switch will happen April 14, and will completely remove the tabs from Company Pages, which may come as a shock to businesses that have invested time and effort into building up their recommendations, or to small companies who use the networking site as a mini-website to showcase their services. At LinkedIn, we aim to provide a simple and efficient experience for our members. To do this, we’re continuously evaluating how our current products and features are used, and seeking new ways to focus our resources on building the best products. This sometimes results in the retirement of certain features. So on April 14th, the Products & Services tab will be removed from all LinkedIn Company Pages. What does this mean for your page? Company Page Administrators can recover Products & Services Recommendations directly from the tab by copying the information into your own document. Only time will tell if Showcase Pages are an adequate replacement for the Products/Services tab, but some LinkedIn members are already noting that they allow less text for descriptions and provide no opportunity for video, and perhaps put small businesses at a disadvantage to larger firms. What do you think about LinkedIn’s move away from the products/services page? Will Showcase Pages be an adequate replacement, or is LinkedIn out-of-touch with how users actually use the site? Do you need help navigating the confusing world of social media marketing in Houston?